When Martin Luther pinned up his proclamation on the doors of the Castle Church, Wittenberg, Germany in the 16th Century, he started one of the most fundamental religious revolutions in the history of civilization. When Bill Sheehan hung his sign on a map of the Meadowlands wetlands at an outdoors sportsmen’s show at the Meadowlands’ Convention Center in 1994, he expected to get a laugh or a nod, but not a revolution. Yet from the reaction he has received lately, a revolution is what he might have started, one that may have area fishermen up in arms against more development along the Hackensack River. At first, when fisherman, hunters, and other outdoor sportsmen came by, they did indeed nod, yet with the serious kind of expressions that said they were mulling over the meaning. Sheehan had come to the outdoor show as part of his new campaign to save the Hackensack wetlands. He believed that outdoor people, especially fisherman, have a vital interest in keeping the Meadowlands from being overdeveloped. 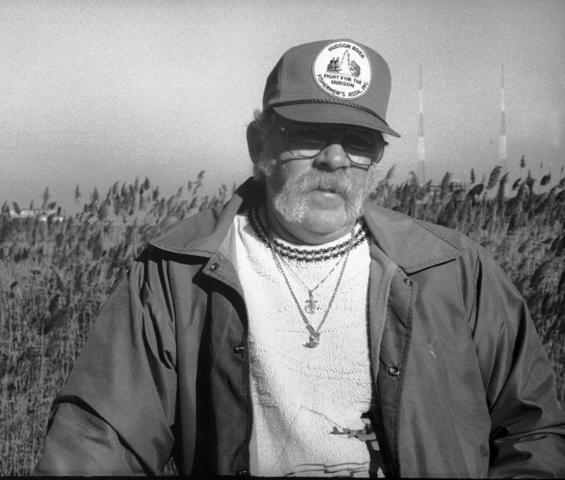 He brought hats and a newsletter from his from his new environmental protection organization, the Hackensack Estuary and River Tenders Corporation, or as he liked to call it, HEART Corp.
Sheehan for years became the local eyes and ears of the Baykeepers but would later graduate to become the first riverkeeper on the Hackensack River, and would win valuable allies not just among fishermen, but local, state even regional elected officials, as well as key people in the environmental movement. As riverkeeper, Sheehan helped pressure the state into reinventing the Meadowlands Commission, which was at the time more interested in development than in the environment. He would later become the leading force to halt the development of what is now called The American Dream mall from being located on precious watershed. His influence among leaders was seen as one of the key elements in relocating the project to the Meadowlands Sports Complex, saving the wetlands. Sheehan, a one-time rock-and-roll drummer, and now a North Hudson cab driver and Secaucus family man, started this movement when he was 45 years old. Though now he’s broaching the ripe old age of 70, he still tends to wear a blue fisherman’s hat and sport a white handlebar moustache very much in the vein of river men from the past. For years, he ran his operation out of his home on Center Avenue in Secaucus, but as grants became available he was able to expand operations, and eventually set up an office, complete with staff, in Hackensack. But like a local cop, he had a beat that took him up and down the Hackensack, from Oradell in the north to Bayonne in the south, and he served as an educator for school districts throughout Hudson and Bergen Counties. One of his huge successes was the result of lawsuit he filed against the Bayonne Utilities Authority over its sewerage system, a suit that force the municipalities to rebuild the system to contemporary standards and to reduce sewerage overflows into Newark Bay during tidal storm surges. Early in 2019, at its annual Awards Dinner, the Alliance for New Jersey Environmental Education (ANJEE) bestowed its 2019 Patricia F. Kane Lifetime Achievement Award to Bill Sheehan. 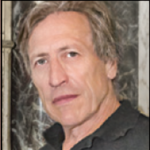 Riverkeeper’s Program Director Captain Hugh Carola, a current ANJEE Trustee and a two-term past president, nominated Captain Sheehan for the prestigious award. During the awards presentation, Carola deferred introducing his boss in favor of NY/NJ Baykeeper Gregory Remaud – a fellow working Waterkeeper and someone who has known Sheehan even longer than he. Among the criteria for the awards are that nominees show a commitment to environmental education activities for most of their professional lives; show their environmental education activities have benefited New Jersey residents; show that those activities have the potential to be used by others in the field. In addition, the nominee’s activities must emphasize and/or practice the awareness-to-action process with those for whom the activities were intended. Lastly, it must be shown that the nominee has evolved into a leader in the environmental education field, either through vocation or avocation.